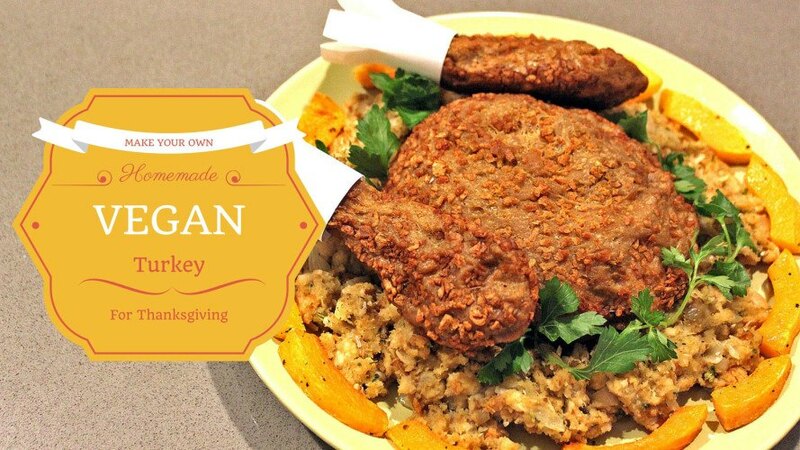 It's exciting to see that more and more people are opting to make their Thanksgivings cruelty-free, and there are a lot of <a href="https://inhabitat.com/6-vegan-vegetarian-and-raw-food-turkey-alternatives-for-thanksgiving/">tasty turkey alternatives</a> on the market now for us <a href="https://inhabitat.com/?s=vegan">vegetarians and vegans</a> to choose from. 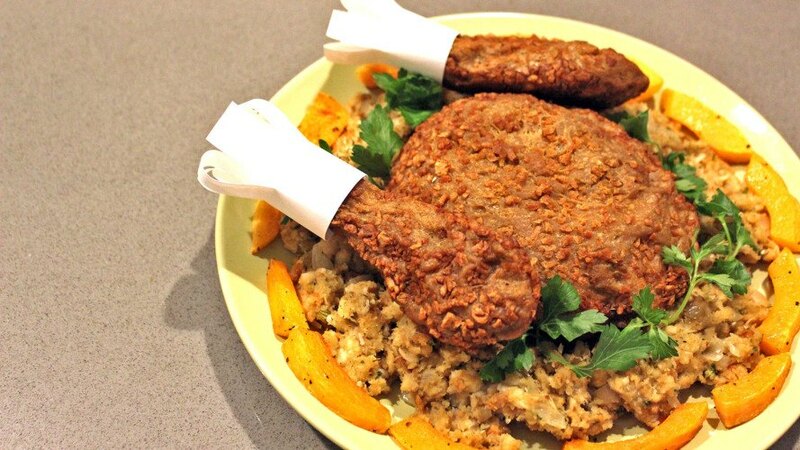 But if you're tired of Tofurky and want to try something different this year, or just prefer to whip something up from scratch so that you know exactly what's going into your dinner, try our <a href="https://inhabitat.com/make-your-own-tasty-vegetarian-turkey-for-thanksgiving-with-this-recipe/">flavor-packed recipe for vegan turkey</a> that you can make right at home. Flip through the steps in our gallery or read on for our step-by-step video. 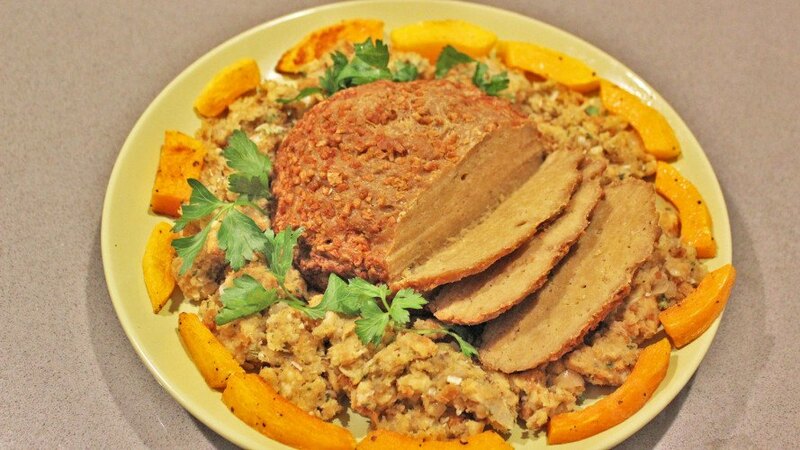 Unlike its tofu-based counterparts, our vegetarian turkey is made from<a href="http://vegetarian.about.com/od/glossary/g/Seitan.htm"> seitan</a>, which is a "wheat meat" made primarily of vital wheat gluten. Seitan absorbs flavor better than tofu, and has a much chewier texture, making it a favorite meat-alternative among vegans and vegetarians. Seitan is also packed with protein, but the fact that it's made of gluten might be a turnoff for you. 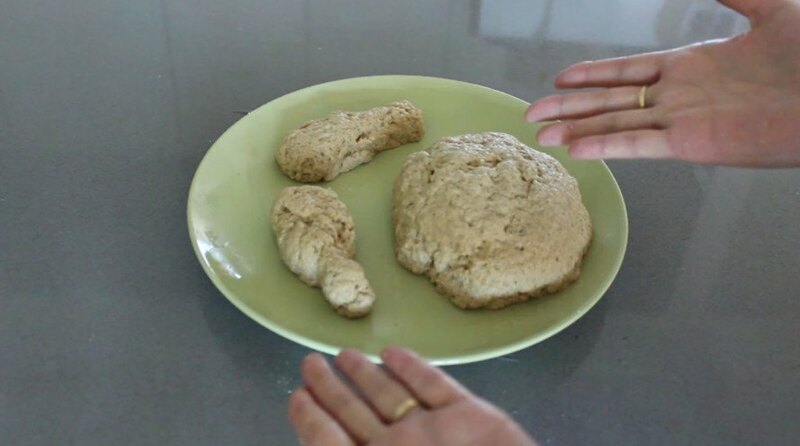 I personally love seitan and have never experienced any adverse effects from eating it, but if you have a gluten allergy or sensitivity, try this <a href="http://chefinyou.com/2009/11/18/tofu-turkey-recipe/">homemade Tofurky recipe</a> instead. And, as with everything, moderation is key! <h3>STEP 1:</h3> Heat up a pan on a medium-low flame and add the olive oil. 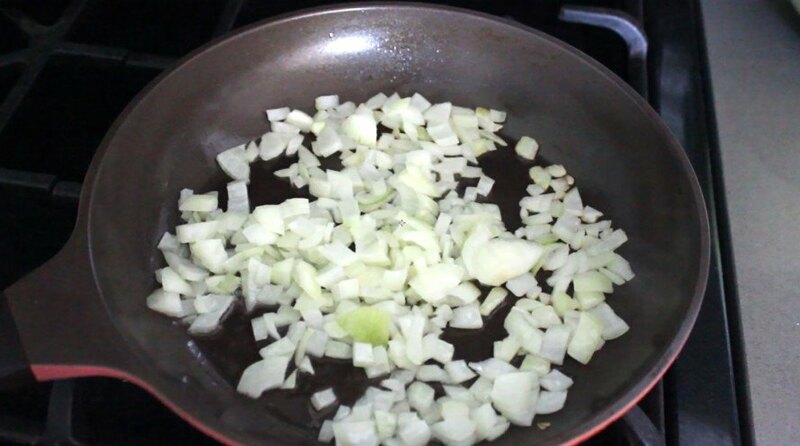 Then toss in the onions and cook until they turn tender and translucent. 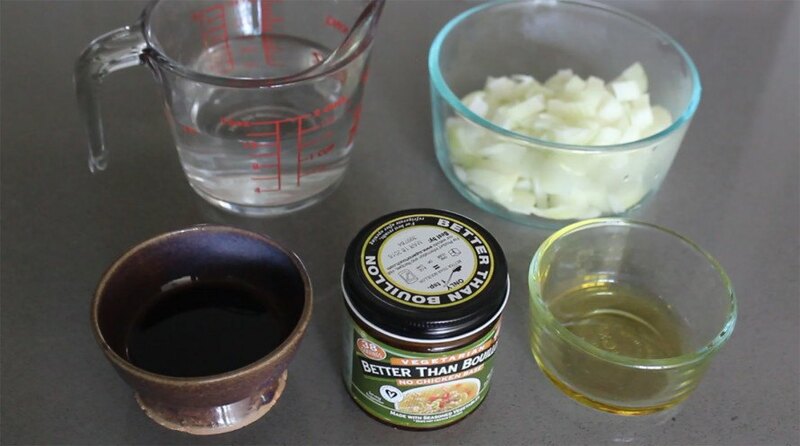 <h3>STEP 2:</h3> Pour your water, soy sauce, no-chicken base and onions (with the oil) into a blender and liquify. <h3>STEP 3:</h3> Fill a steamer with water and bring to a boil over high heat. 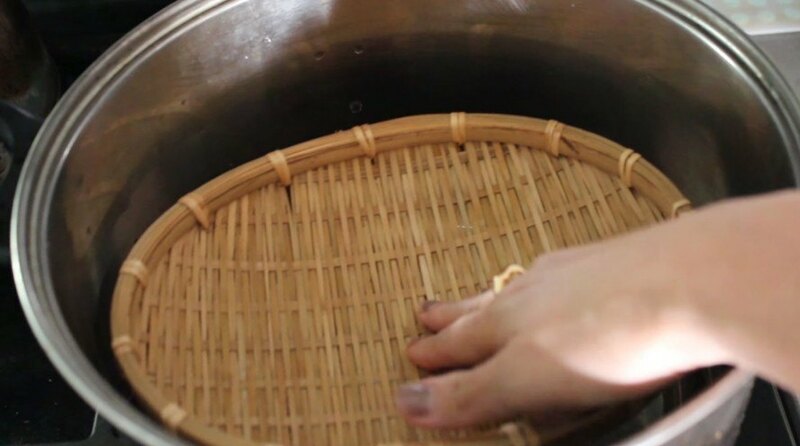 If you don't have a steamer, you can easily bootleg one by placing a heat-safe bowl upside down in a large pot filled with 4-5 cups of water. Then pop a metal colander or bamboo steaming plate on top of the bowl. Just make sure that the bowl and colander are stable and that colander or bowl is not touching the water. 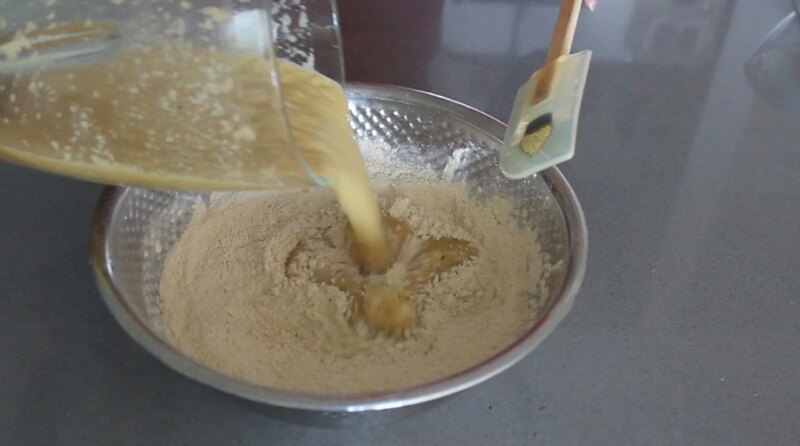 <h3>STEP 4:</h3> While your steamer is heating up, whisk together your dry ingredients (the wheat gluten, nutritional yeast and chickpea flour). 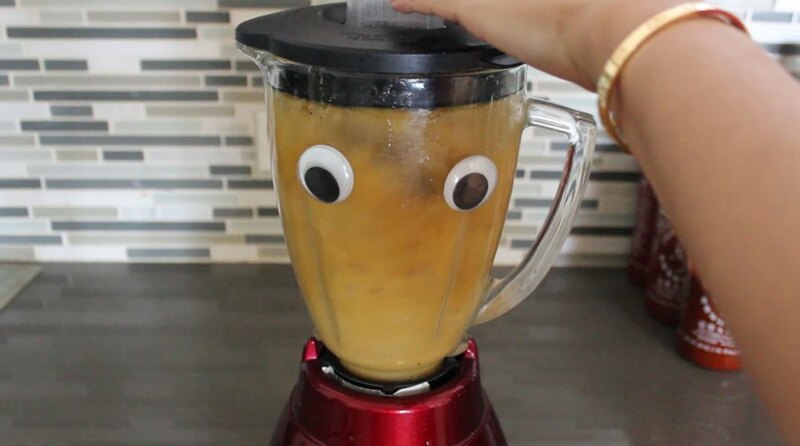 <h3>STEP 5:</h3> Then pour your the mixture you just blended into your dry ingredients and mix together until everything is fully incorporated. 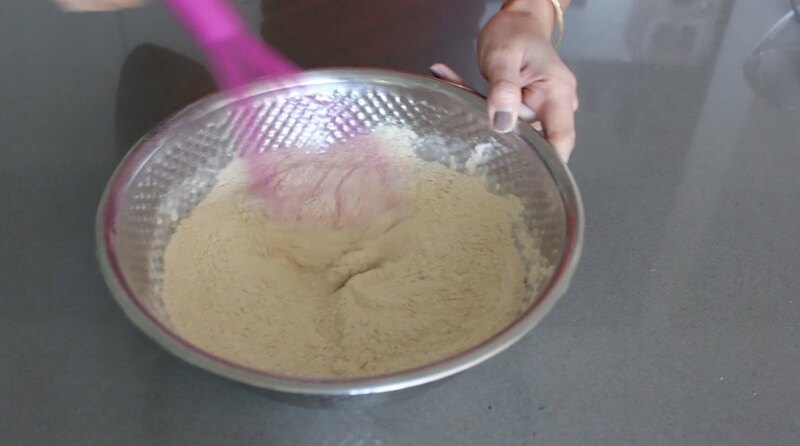 A dough will form as you mix. Knead the dough for about 3 minutes and then shape into a dome. 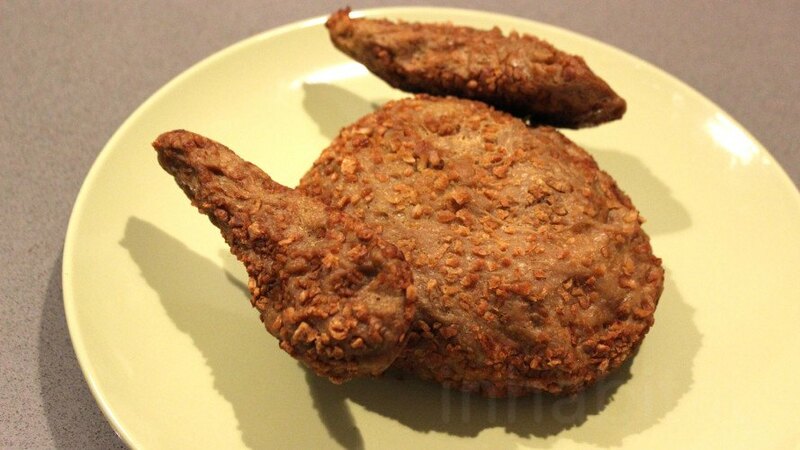 Optional: For a more realistic-looking seiturkey, break off two smaller pieces of dough and form them into drumsticks. 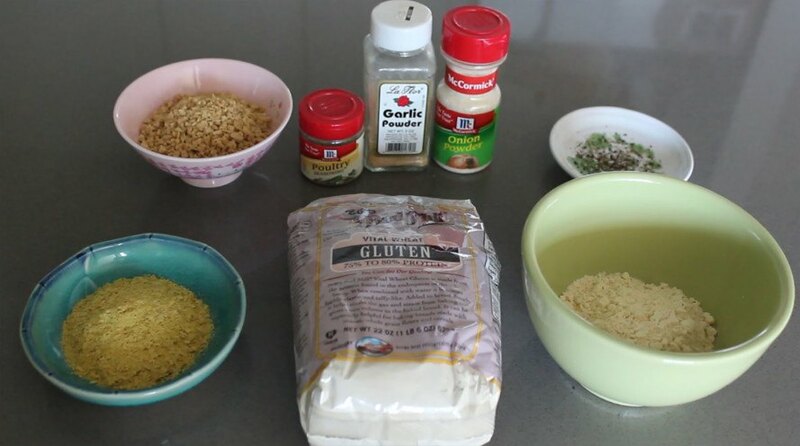 <h3>STEP 6 (optional):</h3> If you want your seiturkey to have some crunch, coat it in some <a href="http://www.bobsredmill.com/tvp-textured-veg-protein.html">textured vegetable protein</a> or breadcrumbs. <h3>STEP 7:</h3> Next, take a large piece of tin foil and brush it with oil. 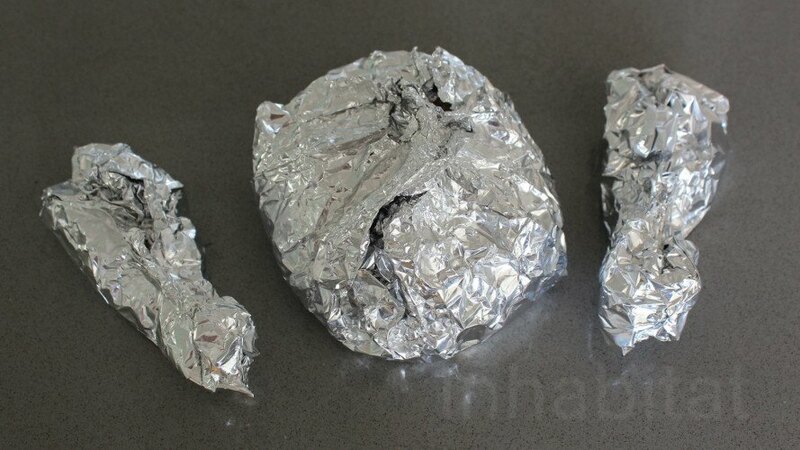 Wrap your seiturkey tightly in the foil. 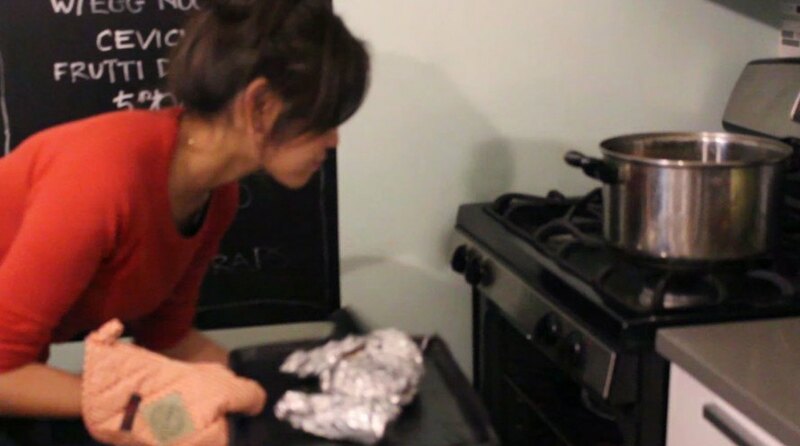 If you made drumsticks, wrap those separately in their own pieces of foil. <h3>STEP 8:</h3> When your steamer is ready (the water should be boiling), pop in your seiturkey and steam for an hour. Depending on how large your drumsticks are, you can steam them for a shorter time so that they don't overcook. After about 45 minutes, begin preheating your oven at 350 degrees. 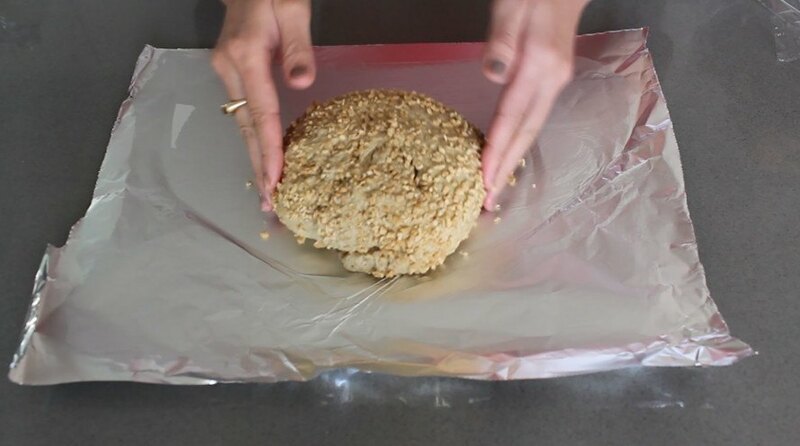 <h3>STEP 9:</h3> After an hour, carefully remove your seiturkey from the steamer and pop it into a baking sheet with the foil still wrapped around it. Bake for 30-45 minutes. Again, cook the drumsticks for 15 minutes or so less if you don't want them to dry out. <h3>STEP 10:</h3> Take your seiturkey out of the oven, wait until it cools a bit and then carefully unwrap it. 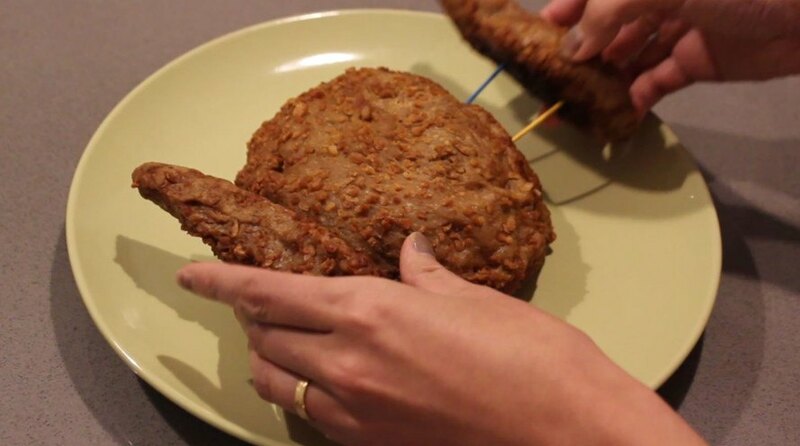 If you made drumsticks, position them in place with toothpicks (be sure to let people know about those!). <h3>STEP 10:</h3> Plate and serve with your favorite vegan gravy and all the fixin's! 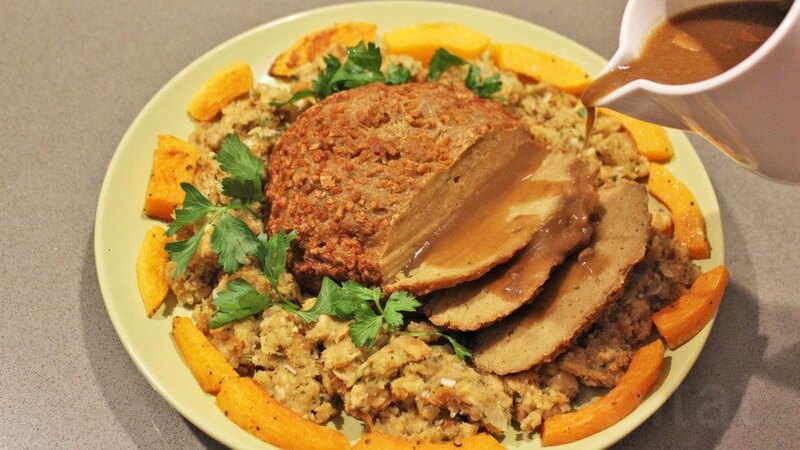 It's exciting to see that more and more people are opting to make their Thanksgivings cruelty-free, and there are a lot of tasty turkey alternatives on the market now for us vegetarians and vegans to choose from. 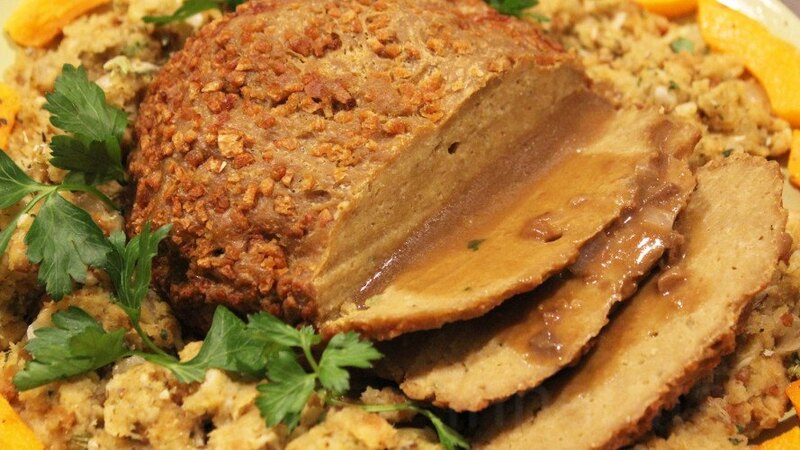 But if you're tired of Tofurky and want to try something different this year, or just prefer to whip something up from scratch so that you know exactly what's going into your dinner, try our flavor-packed recipe for vegan turkey that you can make right at home. Flip through the steps in our gallery or read on for our step-by-step video.